If you are considering renting an apartment or home, it can be more affordable then making an investment that well, could take a lot longer to fulfill. When purchasing versus renting there are thousands of dollars for closing, inspections, an appraisal and more. When renting you only have to come up with firsts months rent, last months rent and a security deposit and in some cases just first months rent and security deposit. Be prepared for a credit and background check. Your credit more than likely be checked depending on the landlord and a call to your job. 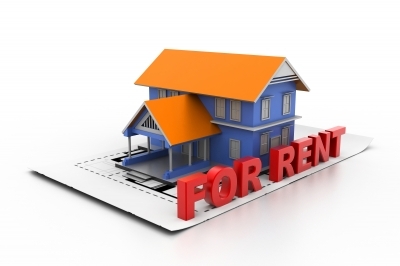 Of coarse the owner of the rental is looking for dependable renters that will fulfill a contract. You also should consider doing a background check on your landlord or rental company. Here is a link with some helpful tips and how to go about that. If you are looking to rent, check over your lease and the property you are considering carefully. Get everything in writing, from repairs that may need to be done, to how long your lease is for and other restrictions you will be complying to. Once you have decided on the place and signed the contract, take photos of the home before you get all your stuff in and are settled. Look for any holes, water marks in the walls, the grounds outside, things that need repair, a broken screen, window and anything that you may be held liable for it not notated from the beginning. Put every repair in writing (email) and keep those pictures on a separate stick or disk in case you need them later. You may want to ask the landlord if they want copies. As you are settling in for the first month you may see things that you missed when you first moved in. Put that in writing or take photos. Check the lease if there is a cost for pets. Do they allow a relative or friend to visit for more then a week. 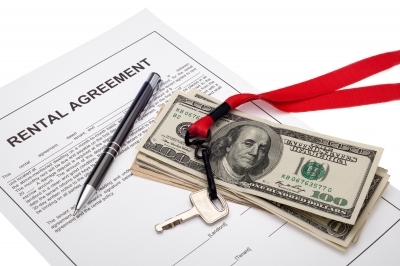 If you have someone stay with you, some contracts have stipulations on how long they can stay before being considered a renter themselves on your property and could cost your more money. For pets, a separate deposit is usually required and cost extra a month for little fido or kitty. There are many benefits to renting when it comes to repairs. The air conditioner goes out, need a new fridge or the roof needs repair. It is your landlords responsibility and while you may be inconvenienced for a short time, you are not putting out the money for these repairs. In today’s economy, renting is a popular option but as convenient as it is you should know your rights and make sure your personal belongings are covered. It is not the landlords responsibility if something happens to your personal possessions. Hurricane, theft, fire etc. the responsibility is yours for replacement or cash value. Click Here for more information on the importance of Rental Insurance. Your Deductible is the amount you can expect to pay for a loss before your rental insurance policy takes over any cost for you. When you are choosing your deductible, which can be from $100.00 and up, take into consideration the dollar amount you figure for your possessions. Your Actual Cash Vale or Replacement cost is also considered when choosing your policy. Some insurance companies will reimburse you either way but considering that somethings depreciate in value you will be in a better position to go with replacement verses actual cash. If your total dwelling is destroyed you may want to look into Total Cash Coverage. This is also where your inventory list you have kept in a safe place will come very handy to you. This will cover you for the total amount of renter’s insurance. Some renter’s insurance Premiums are paid annually, while other companies allow you to pay quarterly or even monthly. Renting a home, condo or apartment for a large family get away or just for two is a nice way to spend a vacation. Love a home on the water, or hiking from a cabin in the woods, beware of scammers who want to build up your hopes and take your money. Scammers are using fake photo’s and descriptions they have stolen from real estate websites to promote their fake listings on places like Craigslist. They put up a lovely photo, bring you in with a winning description and better yet a low price you may not be able to resist. Remember the saying ” If it sounds to good to be true it probably isn’t”. Once communication starts with a place you are inquiring to rent, keep an eye on the reply’s you receive and how they want to be paid. Example; An email with misspelled words, or does it address you as sir or madam, is it redirected to another person. Do they provide a phone number that is local for you to talk with someone? Want you to pay with a money order or wire money to them. Are they out of the country and want you to send the money to say Europe or Nigeria? This is big for wired money scams and guess what, you just gave your money away. Are they supposedly from an organization or charity. Using this they hope to make you feel more comfortable and trusting of them. You can not see the property you want to rent unless you give them a deposit. They may tell you that they do not want anyone to know that the house is empty and it is for their protection. You should be able to see what you are going to pay for let alone live in for a vacation. Nobody should ask you for a deposit on a rental property before you see it. If you are out of the state you want to rent from it may not be easy for you to take a trip to see the property, hire a real estate agent from a well know company. Lets say you do send a deposit, in return some scammers may even go as far as to send you the keys or tell you where the keys are to get access to the property. Either you will receive a set of fake keys, or the place where they said the keys would be, shows up no keys. Be smart, research any deal you come across on Craigslist or a site like it and Make sure you get a lease agreement and deposit receipt when paying. There are legitimate companies out there, but better to be safe and check with the real estate office in the area you are looking to rent our a vacation spot from.